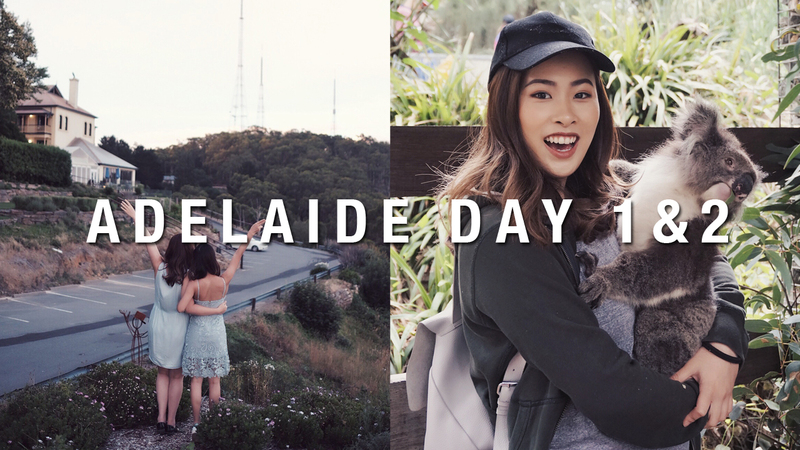 I had one of the greatest start of the year in 2017 - I had the opportunity to travel to the land down under once again, this time with South Australian Tourism who sent Chenelle and I to Adelaide. It felt like a home bound for me because I remember having the best time in Sydney with my sisters back in 2013. I loved the beach, the people, the weather, the lifestyle - there's just something about the country that drew so much closure to me. This video is a compilation of the highlights of Day 1 & 2 which started off with a heavy German lunch at The Hahndorf Inn and strawberry picking at Beerenberg Farm. We ended day 1 with beautiful fine dining at Hardy's Verandah Restaurant where we dined looking over the view of the Barossa Valley. We stayed at the Hilton Hotel, and kickstarted the morning of day 2 at George's WildLife Park which was by far one of my biggest highlights of the trip because I held a koala!! Her name is Lia, which you will see more in the video. She was so calm and her fur was so velvety, which I assumed that was how the kangaroos were like as well.